Which is best HTML or Plain Text? HTML or Plain Text: What is Best? When it comes to email marketing, the debate continues over what is best - HTML or Plain Text email formats. Discover the difference between HTML email and Plain Text email and take advantage of this guide to help you choose which email format is best when it comes to your email campaigns. 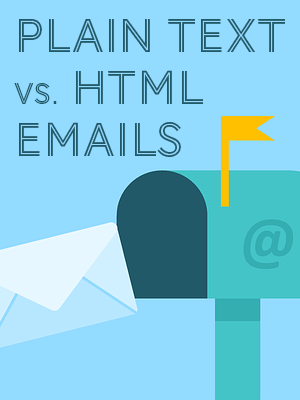 Download this free guide to discover the pros and cons of both HTML and Plain Text email.